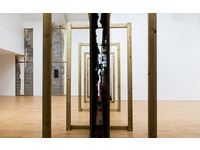 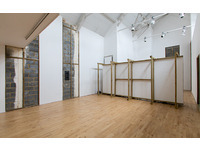 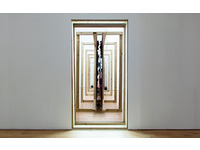 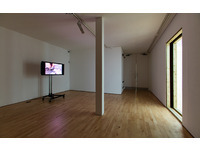 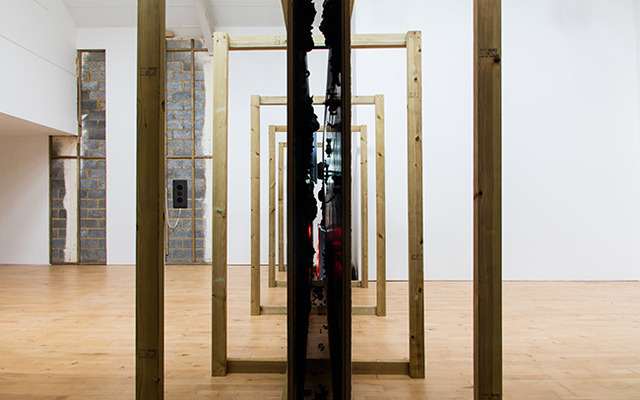 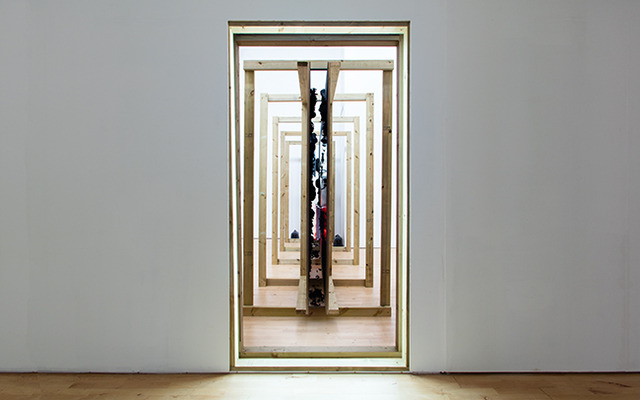 'Re-cut Piece (working title)' is a work of re-mediation, documentation, performance, technical support and materiality. 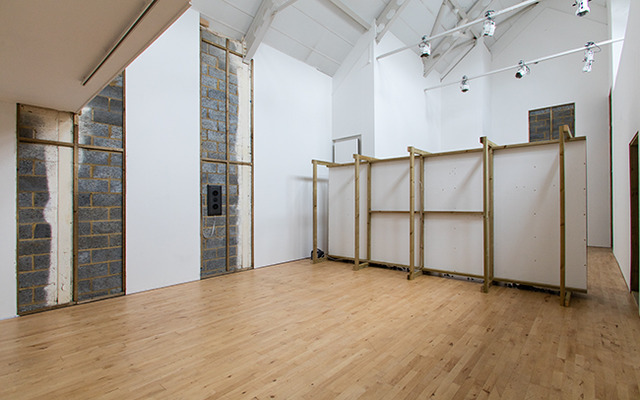 Developed over a week-long residency in which the exhibition space is architecturally reworked while remaining open to the public, 'Re-cut Piece (working title)' produces and stages the montage of multiple parallaxes – from haptic to audial, performative as well as architectural. 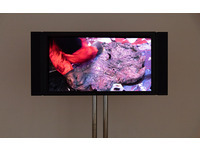 Comprising multiple durational interventions within the Gallery, 'Re-cut Piece (working title)' introduces a layered process of re-organisation of technical, social and biological organs into a perverse aggregate. 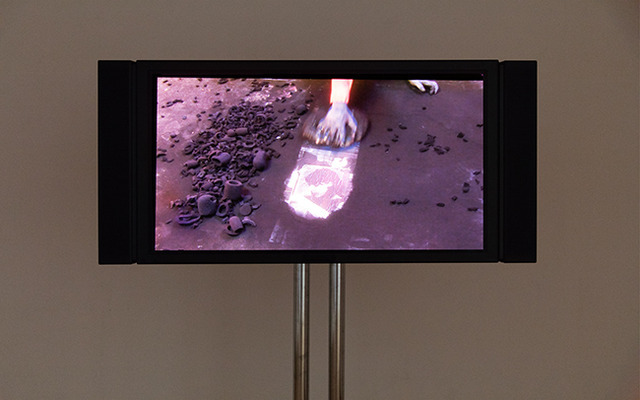 The installation includes a new moving image piece that takes documentation of a historic performance as its initial motif to display the activity of kneading dough into photocopier carbon and microphone windshields. 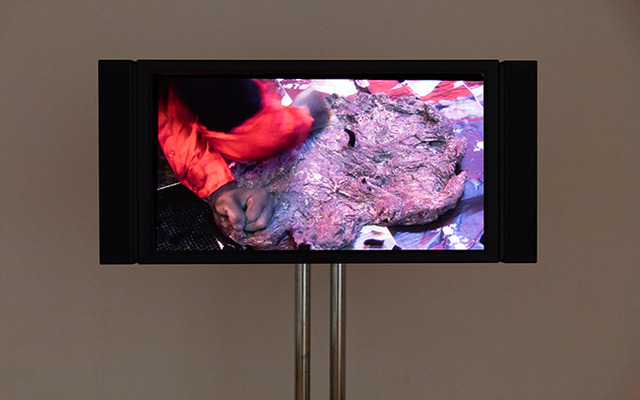 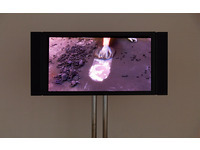 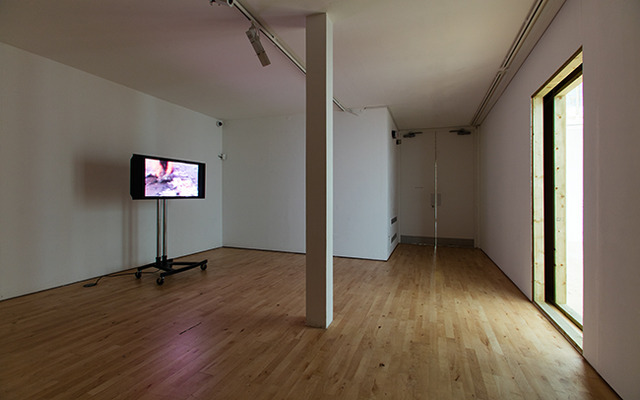 Residues from the video’s production are redeployed in the gallery, whose space is also being figuratively kneaded over the course of the week.